The Eldajon Palette has been a favorite of watercolorists and students for many years. 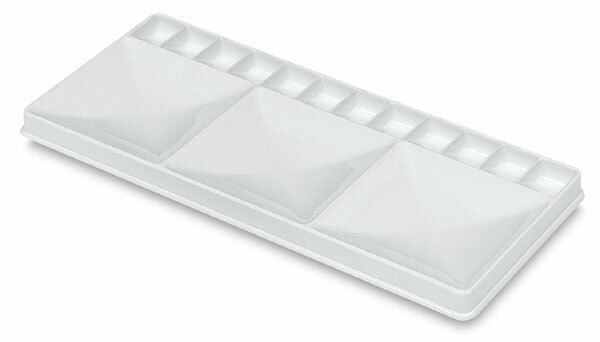 Made of heavy-duty, easy-to-clean, white plastic, it has three large mixing areas and 12 color wells. This compact palette measures 5½" × 12".